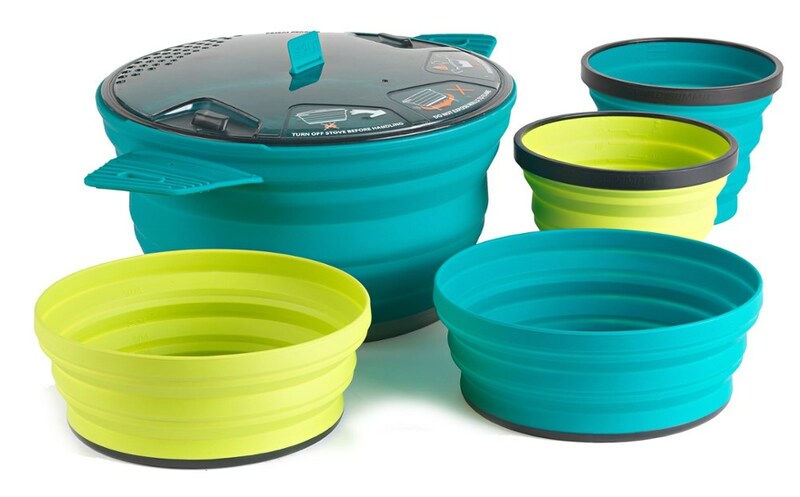 Sea to Summit Camp & Hike X-SET 21: X Pot 1.4L +1 X Bowl + 1 X Mug 58322. 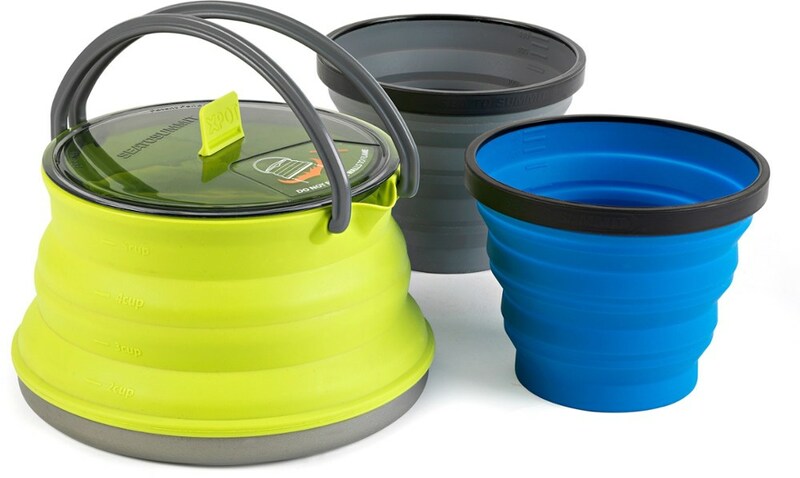 It includes the collapsible 1.4 liter X- Pot a collapsible X- Bowl and X- Mug. 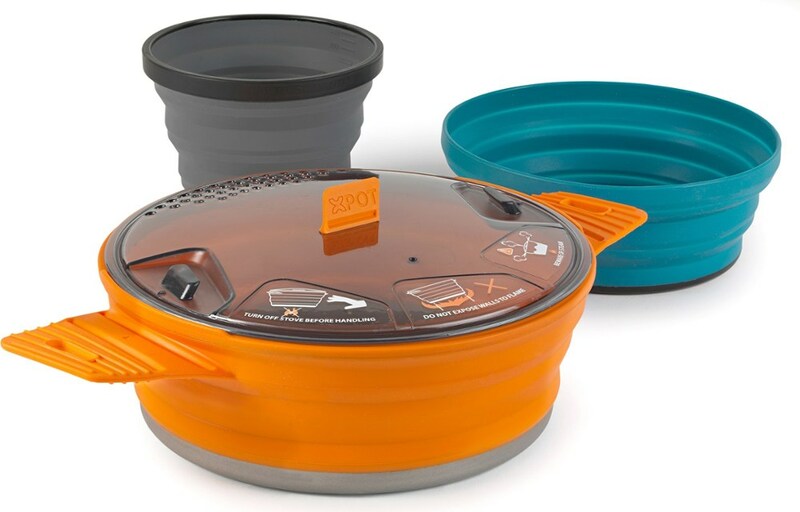 The X-Pot is madewith a hard anodized aluminum base and silicone side walls and is perfect for preparing all your camp meals with ease including boiling water for drinks. All three pieces nest together to the size of a Frisbee-like disc which saves space for more fun in your pack. 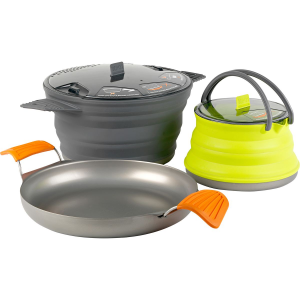 The collapsible Sea to Summit X-Set 21 is the perfect lightweight and compact cookset for solo use. The nesting set includes a 1.4L X-Pot, an X-Bowl and an X-Mug. Eating well on the trail just got easier with the Sea To Summit 3-Piece X Set 21. 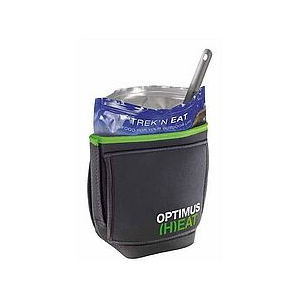 Its ingenious design packs a pot, bowl, and mug into a lightweight and compact unit that easily fits in your pack. 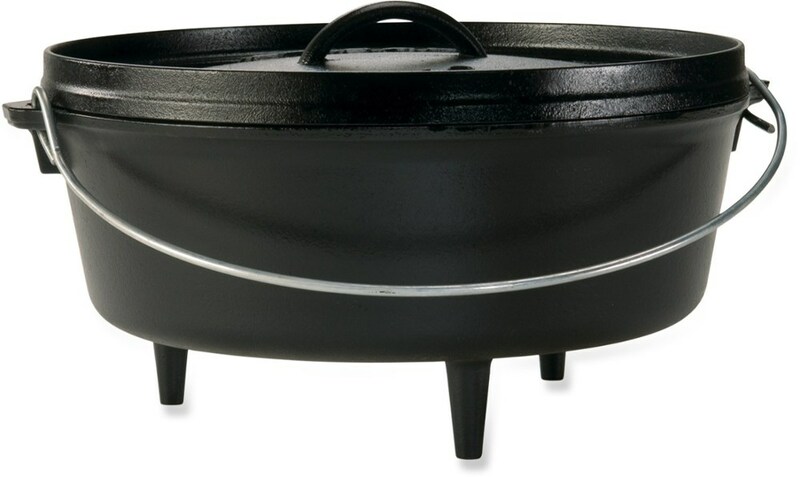 The X-Pot features a hard-anodized aluminum base for fast boiling times and even heat distribution, with collapsible silicone walls so you can do everything from boil water and heat soup to fry eggs. 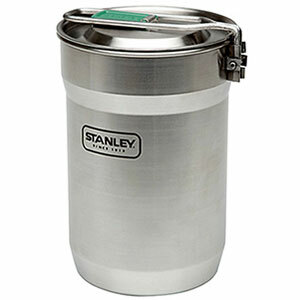 The translucent lid allows you to check on what's cooking without letting heat escape, and silicone tabs on the outside of the pot secure the lid during transportation. The collapsible X-Mug and X-Bowl are convenient drinking and eating vessels that pack down and fit inside the X-Pot when you're on the move. Other Sea To Summit X products (sold separately) will also fit inside the X-Pot so you can customize your collection.